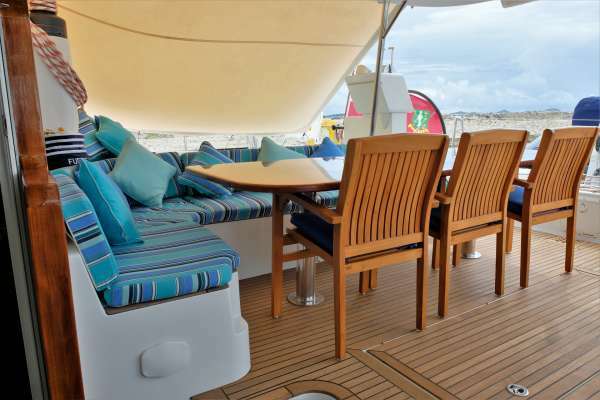 The Fuerte 3 is the perfect family craft with its multiple berths, expansive indoor and outdoor seating areas and an expert crew. 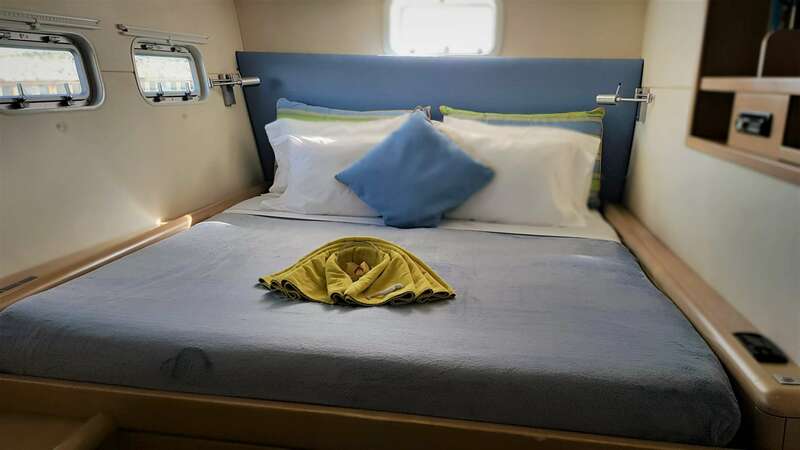 Four separate cabins sleep up to nine guests, with three of those bunks accommodating children or shorter passengers. 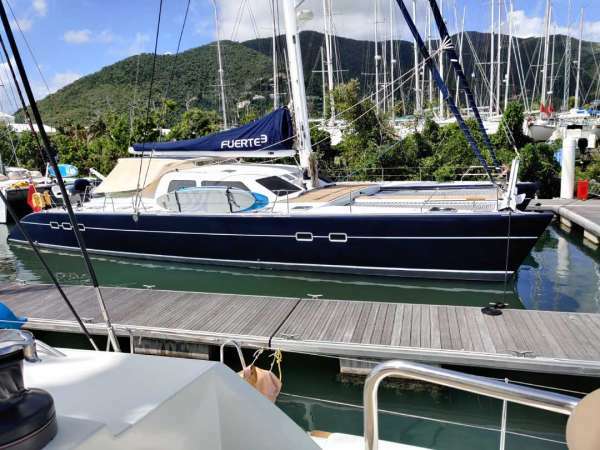 The Fuerte 3 was fully refitted in 2014, which means you will enjoy new upholstery throughout the craft, as well as many other upgrades. 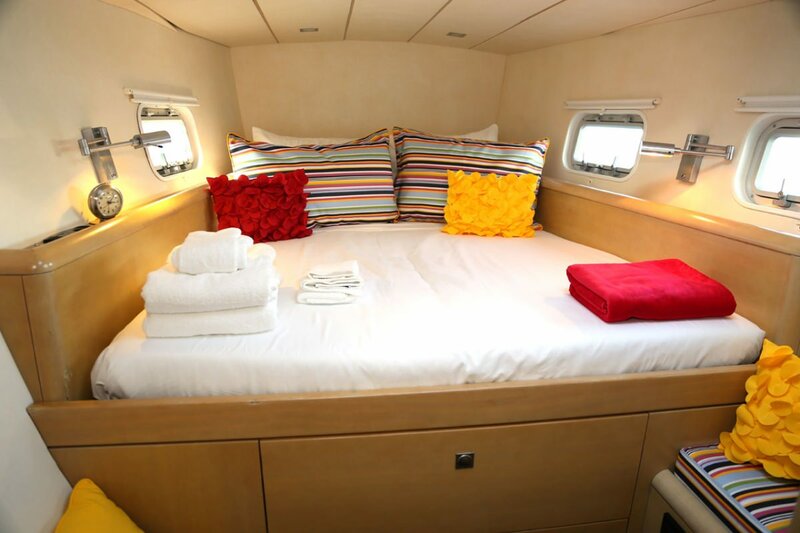 There is ample sleeping space for the whole family aboard in the multiple suites with private bathrooms. 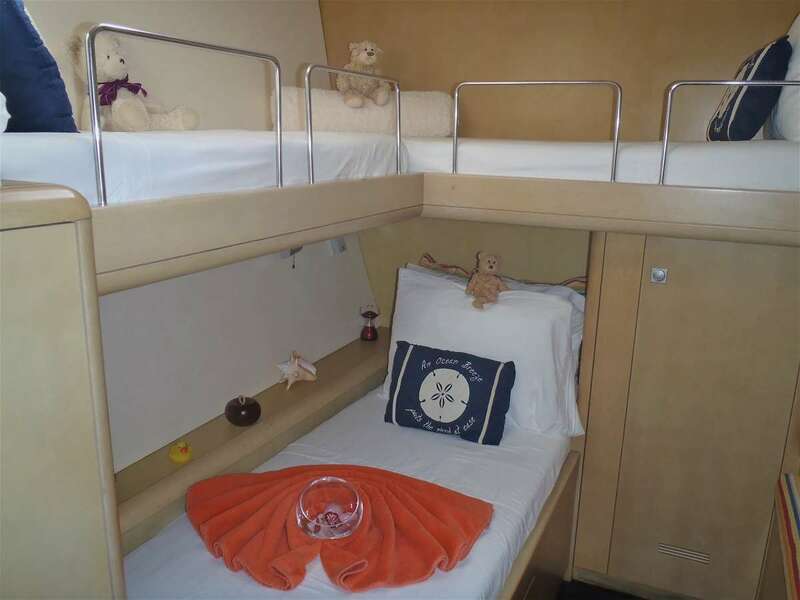 Two rooms have king beds, one a queen, and the last can host three children in the cozy 71 inch bunks. 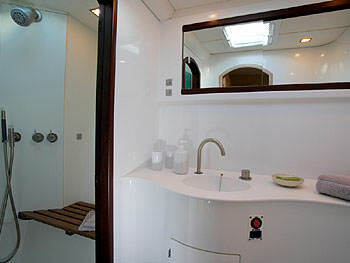 Each room boasts its own shower and private bathroom. 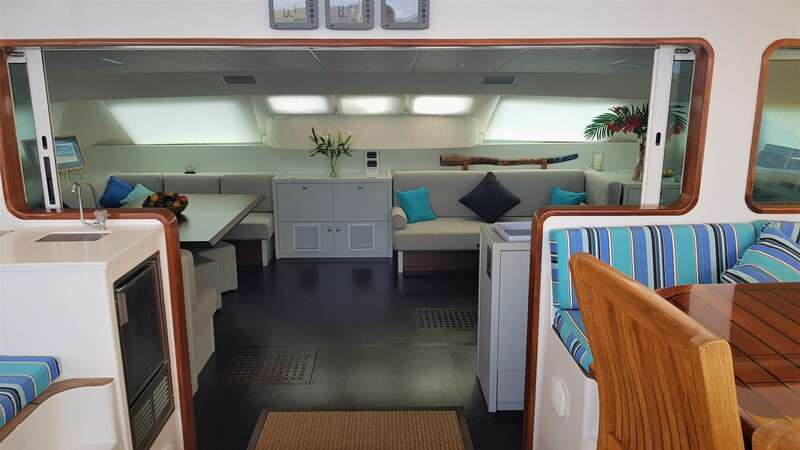 There is ample space throughout the craft for group activities as well as personal time. 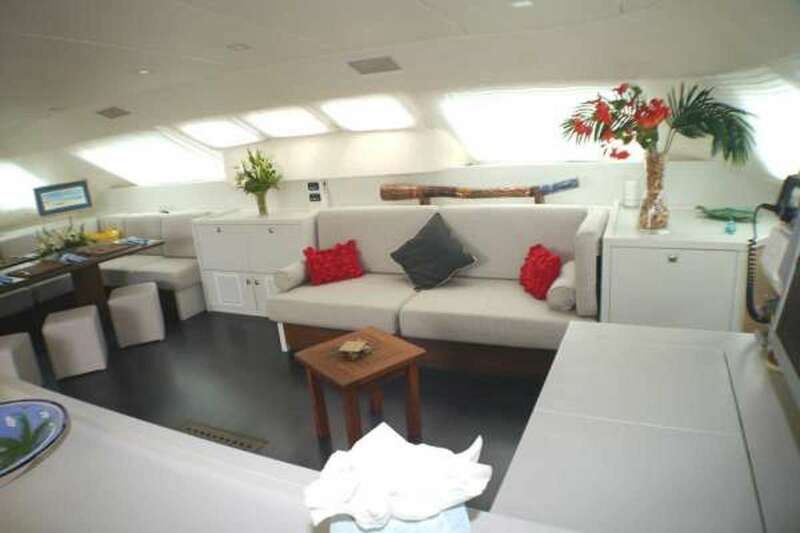 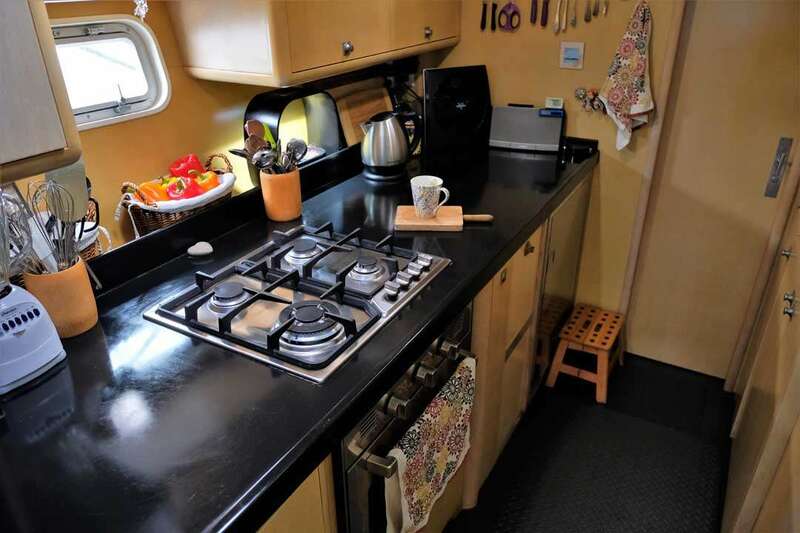 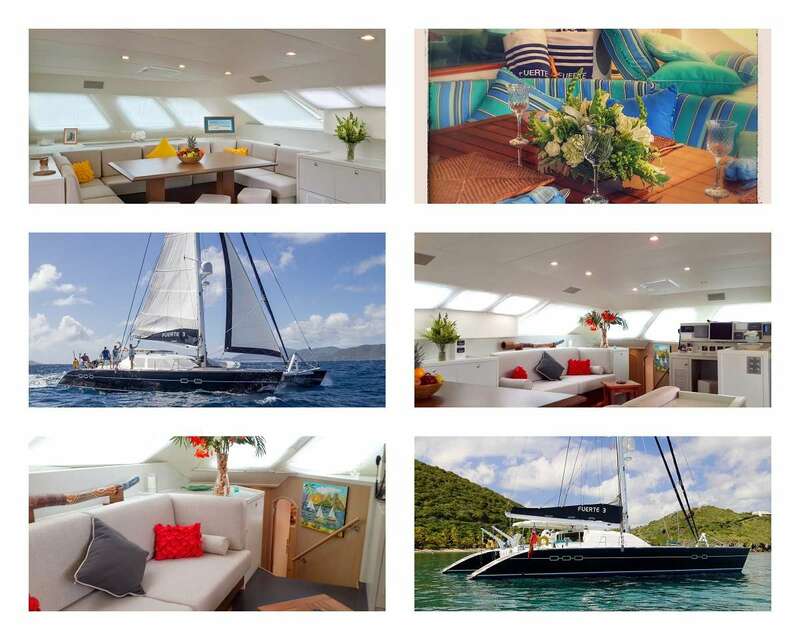 Below deck, a spacious living/dining room combo offers enough room for enjoying meals, games and a break from the sun. 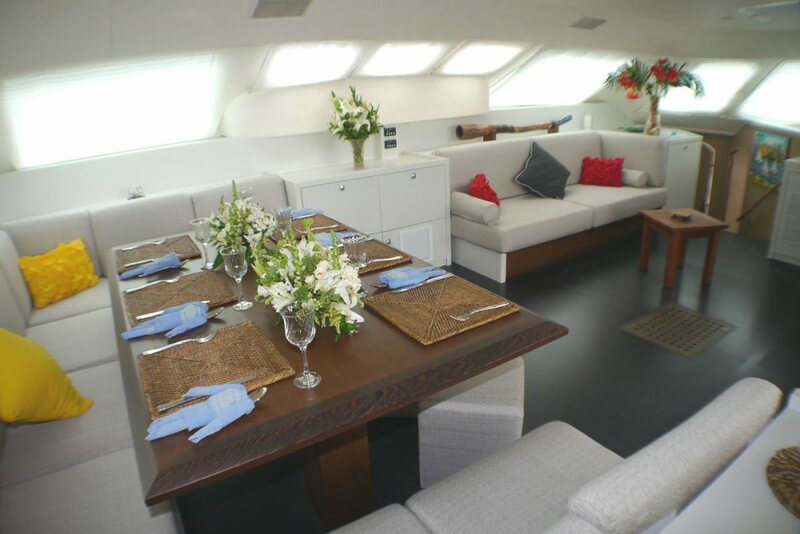 Relax on one of the many upholstered couches, or gather the family around the roomy dining table to enjoy a memorable meal together. 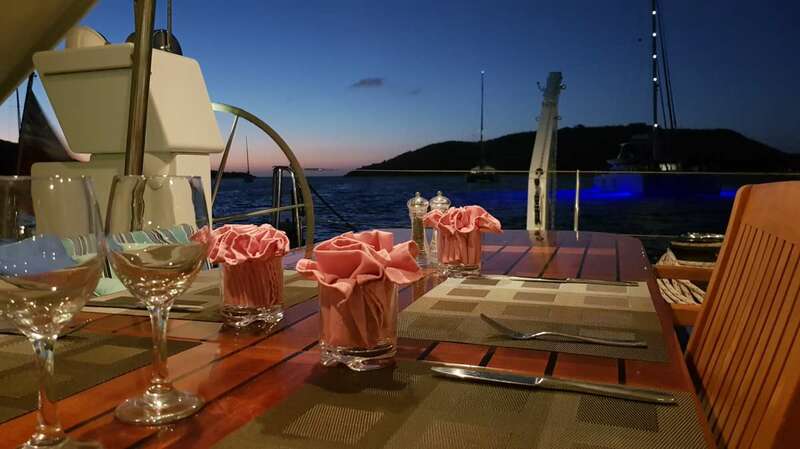 Alfresco dining is easy and fun on the aft deck with an expansive table that offers both booth and chair seating options. 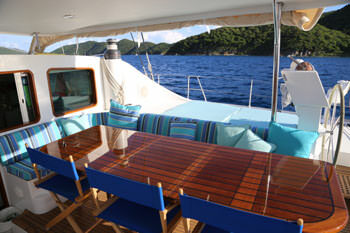 Several areas throughout the craft are great for lounging, soaking up the sun or just enjoying the impressive vistas. 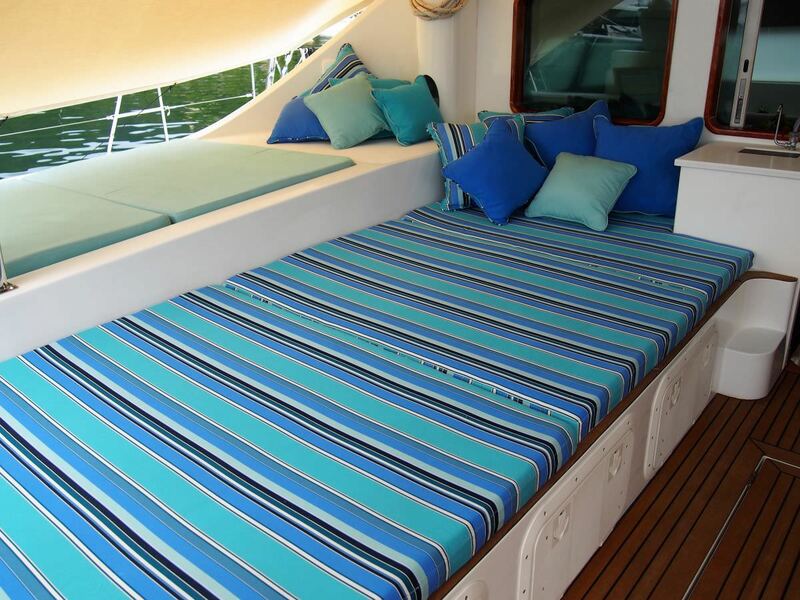 Extra-wide cushioned benches line the aft deck and are a great place to enjoy an afternoon catnap in the sun. 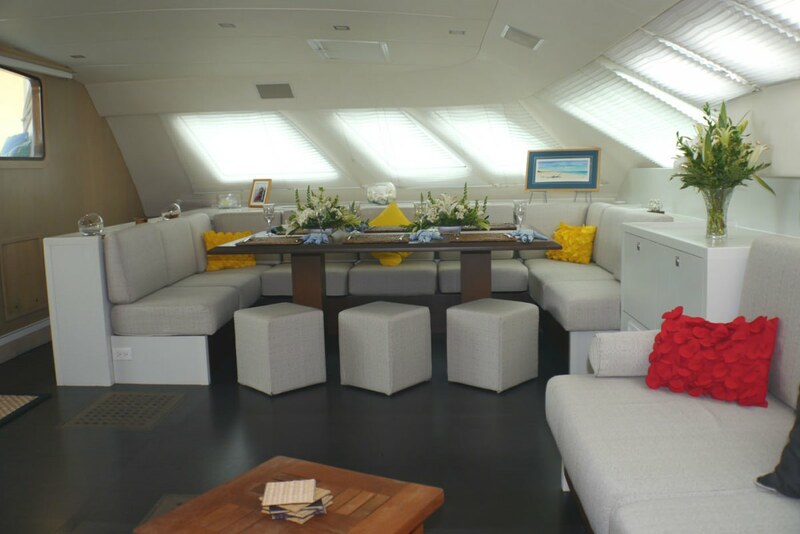 The forward deck has two trampoline areas that are both fun and comfortable. 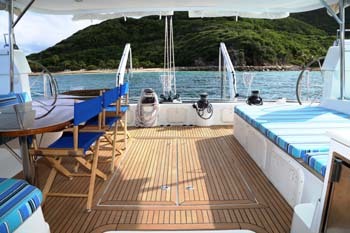 The aft deck has both hot and cold showers, so you can rinse off after splashing around in the ocean. 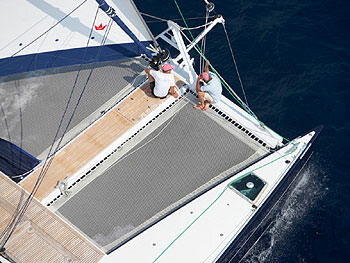 While on the water, you can rest assured that your crew is competent and experienced. 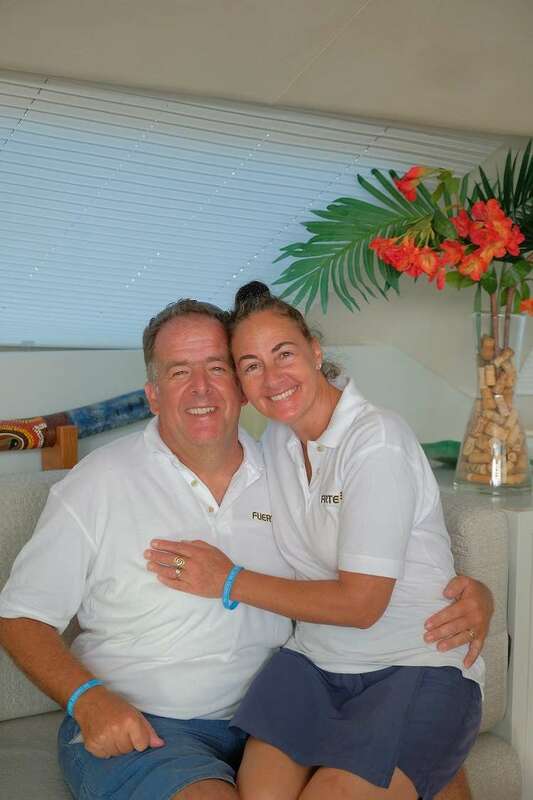 Captain, David Chown was licensed through the top sailing academy in the world and has years of experience guiding this and other crafts. 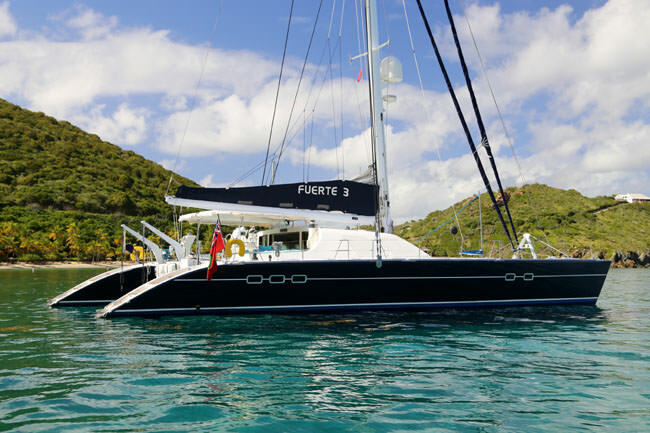 Make your next vacation memorable with a trip aboard the Fuerte 3.